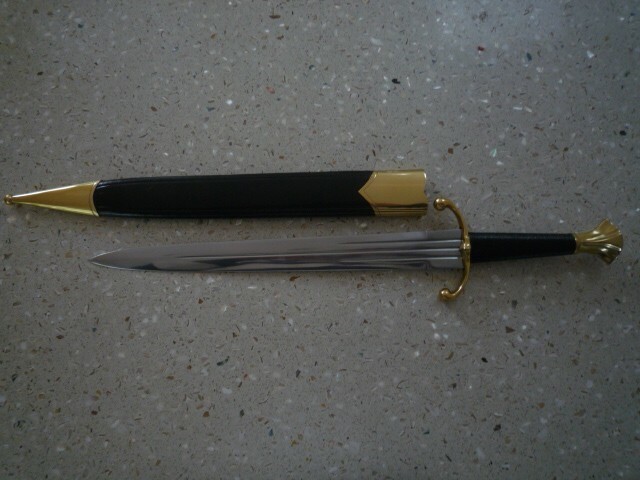 Attractive dagger of the type used in Europe during the Renaissance. 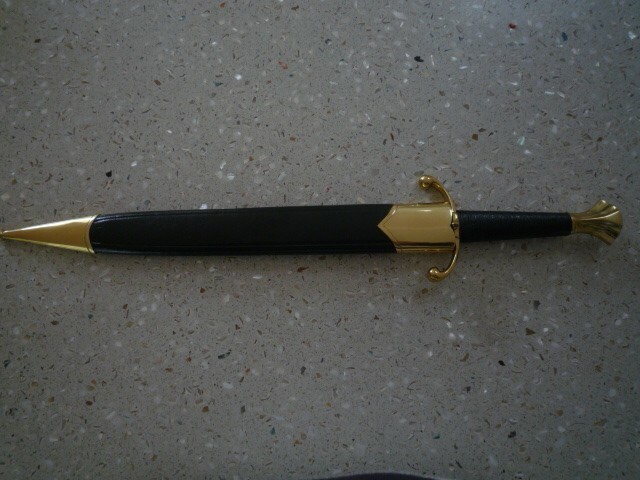 Graceful and effective parrying dagger. 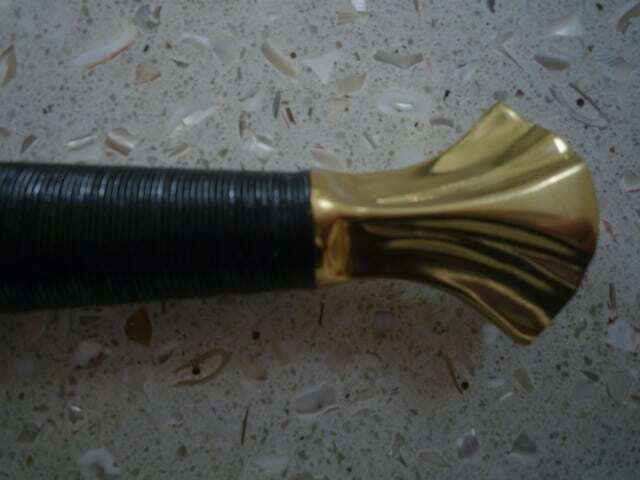 Elegant guard and pommel of polished brass. Strong blade 30cm x 3cm made from well tempered high carbon steel with three narrow fullers on each side..
Wood grip wrapped in thin black leather cord for a positive grip. Overall length 44.5cm. Weight 0.4kg. 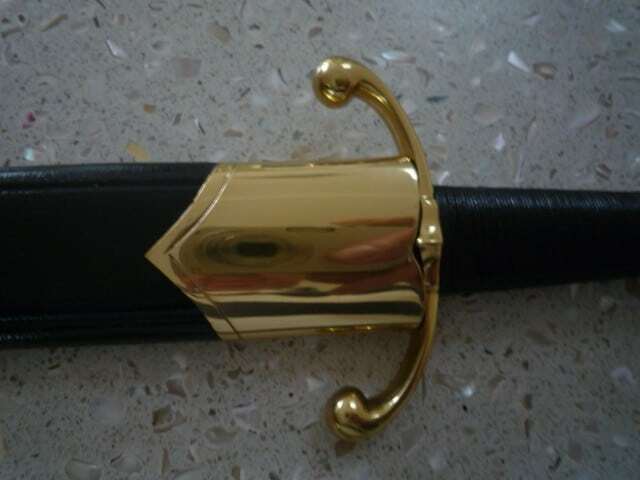 Black leather and brass scabbard completes its presentation. This is a really nice item.